Annual Turnover2014-15 Rs. 2 - 5 Crore Approx. We are an ISO 9001–2008 certified organization engaged in manufacturing and supplying the Environmental Simulation Products. Our range caters to the demands of automobile electrical, electronics, food and IT industries. We are an eminent manufacturer and supplier of a quality range of Environmental Simulation. The entire range is precisely engineered by our professionals in tandem with the set industry standards. These instruments are available with customization solutions at industry leading prices. In addition to this, we also provide efficient after sales services to enhance the functionality of the installed products. 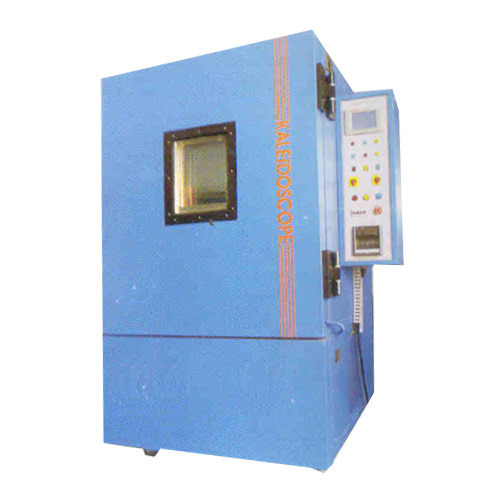 We offer environmental simulation products like environmental chamber, photovoltaic environmental chamber, thermal shock chamber, de-humidifier, humidity chamber, seed germinator, tray dryers, ozone chamber.